Driven by action, suspense, and a strong heroine, this deliciously detailed, bestselling YA fantasy will keep you turning the pages right up until the epic conclusion.Violet Fairdale is in big trouble. Her home is gone, her beloved forest lies in ruins, the guy she gave her heart to has deserted her—and she doesn't remember any of it. The powerful Lord Draven is taking over, brainwashing guardians into fighting for him. 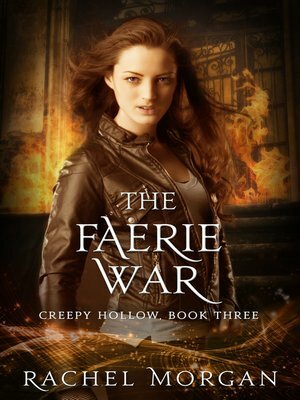 No one is safe from the evil spreading throughout the fae world.As alliances are forged between the remaining free fae, Vi struggles to reclaim her identity and figure out where she belongs in this new world. When someone from her past shows up, life gets even more complicated. He brings with him a long-forgotten weapon and an ancient prophecy that places Vi at the center of the fight against Draven. With the future of the fae world at stake, can Vi carry out the prophecy's instructions before it's too late?